Hashtags. Love them or loathe them they can be used greatly in the world of business. Mashable published a story today about effective Twitter campaigns, the most recent being the Domino's Pizza #letsdolunch. Two of the campaigns have taken the lead from Innocent who forged the way with tweet volume based product discounts with #tweetandeat that launched 6 months ago, while Ben&Jerry's are doing their bit to keep their CSR profile up. There's even Political based activity in the top 6 too. 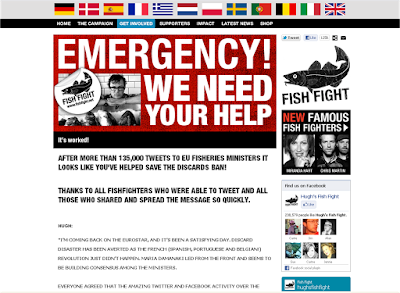 Not on the list, but fairly effective and recent is the emergency 'Fish Fight' campaign. 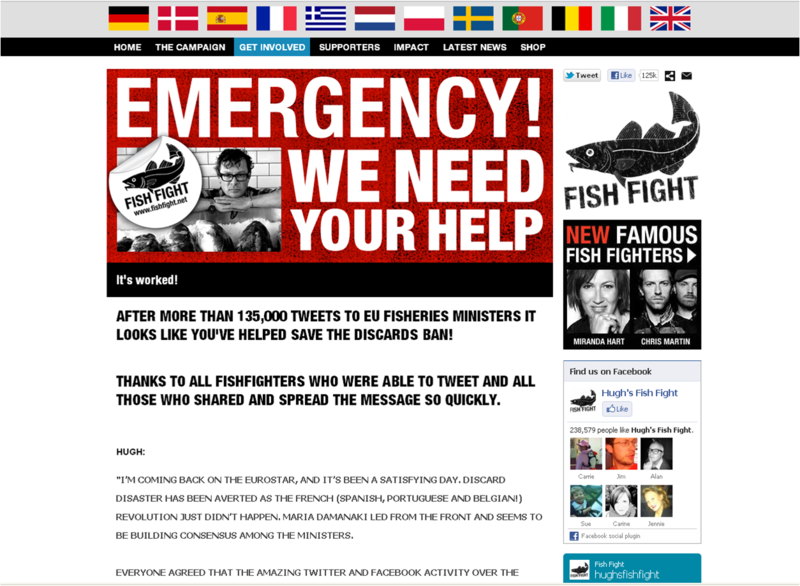 The Hugh Fearnley-Whittingstall backed initiative flooded Twitter with 135,000 tweets to EU Fisheries Ministers using a clever translation button to ensure that the relevant Ministers were tweeted in their language, all backed with the #fishfight hashtag.